Nails get festive with Kiss Salon Secrets Nail Art Starter Kit! KISS Salon Secrets Nail Art Starter Kit - $16.99 - contains everything you need for the most festive of manicures including: 2 sticker sheets, charm kit, striping tape, pattern guide stencils, 3 tools, full-cover decals, 3 glitter pouches and nail art sealer. Still want festive nails but with less effort? 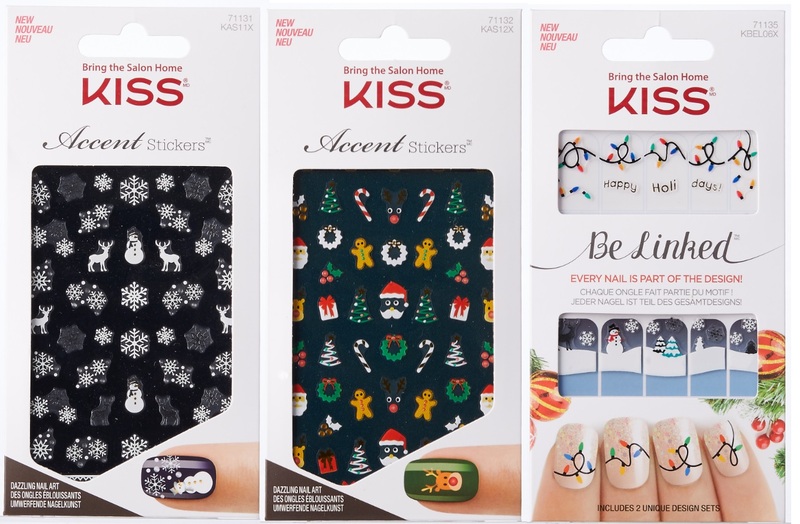 Then check out Kiss Be Linked and Kiss Accent Stickers - $3.99 - with fun holiday designs! Available now at Walmart, London Drugs and Jean Coutu.